Everyone loves Newcastle in the North East for its culture, stunning countryside, and beautiful family friendly coastlines. So just what property can you buy in Newcastle for Half a Million Pounds? We’ve picked a range of properties in and around Newcastle so you can see the range and types of properties available, from period terraces to detached homes. A magnificent two bedroom penthouse apartment, with a fabulous private south east facing terrace, and panoramic views across Gosforth, the surrounding areas and towards the city centre. The former show apartment for Grove Park Oval offers over 1000 sq ft of accommodation, to the south-east corner of the fourth floor, with excellent natural light from the large picture windows in the sitting room and two bedrooms and the doors to the stunning terrace. The apartment, one of only four apartments on the 4th floor, benefits from feature large mirrors and artwork to the walls, a secure communal entrance, lift and stair access, well maintained communal grounds and secure underground parking. Modern Living with Delightful South West Facing Rear Gardens! 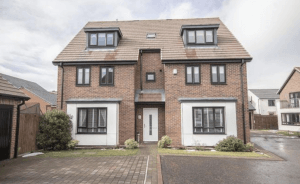 This well presented, detached family home is laid out over three storeys and is ideally located within the highly desirable crescent on Barmoor Drive, Great Park. Close to excellent local schools, Barmoor Drive is conveniently situated close to public transport links, access to the A1 western bypass as well as the shopping of Gosforth High Street which is only a short drive away. To the rear of the property is a generous garden with a south-westerly aspect which is laid mainly to lawn with fenced boundaries, paved patios, raised decked area with space for a hot tub and side access. This luxury apartment offers 1,400 Sq ft, with South & West Facing Balconies, Two Allocated Parking Spaces, Lift Access & No Onward Chain! This is a rare opportunity to obtain one of Gosforth’s most sought after apartments. 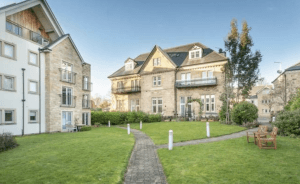 Moorlands Hall, a stone built residence which is ideally situated just off Elmfield Road and Parker Avenue, is thought to have been originally constructed by the Fenwick Family in 1890 and was re-developed in 2010 into five luxury apartments by the Adderstone Group. 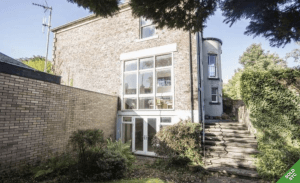 Offered to the market with vacant possession, the apartment is ideally placed within Gosforth’s Conservation Area, close to the shops, cafes and restaurants of Gosforth High Street. Occupying a generous plot within the sought after area of Benton is this outstanding five bedroom, detached house. Having been constructed to an extremely high standard, this elegant, freehold home boasts exquisite architecture and showcases charm and gorgeous features alike. 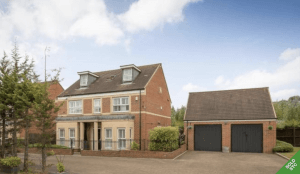 Offering luxurious living and exclusive rooms, this enviably spacious accommodation represents an ideal opportunity for those seeking to acquire a wonderful family home within this lovely area. Externally, the front of the accommodation showcases a well-maintained garden laid mainly to lawn, with a generous driveway offering ample parking space as well as leading to an attached garage providing additional and secure off street parking. To the rear, there is a low maintenance garden, laid mainly to lawn, with a patio area providing ample outdoor space. A charming three bedroom, stone-built bungalow, situated on the outskirts of Darras Hall and set within idyllic grounds extending to circa 0.5 acres, offering privacy from every aspect. This superb property offers spacious and flexible living accommodation benefitting from features such as an original AGA, double glazing throughout, log burner and countryside views. The property is entered through a glazed porch leading to a spacious dining hallway giving access to the well-balanced living accommodation. 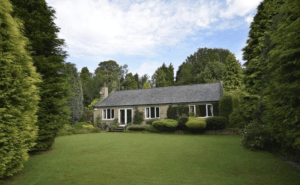 Briefly comprising a living room with traditional log burner inset into a stone surround along with double patio doors to the gardens, fully fitted kitchen with an electric AGA, utility room, three bedrooms with master en-suite and family bathroom. The property also benefits from double garage, electric entry gates and wooden floor throughout. The property is accessed over a gravelled driveway leading to the entrance and integral double garage. The gardens, which are mainly laid to lawn, wrap around the property and the orientation of the site allows prolonged periods of sunshine at various advantage points. 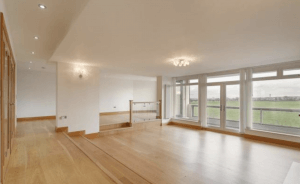 With breathtaking panoramic of the views of the city and beyond, a substantial apartment located to the 4th floor of Montagu Court, Gosforth. Designed by local architects Waring Netts and originally constructed in 1963, this landmark development stands in contrast to the expanse of Newcastle’s town moor on Montagu Avenue, Gosforth. Offered to the market with vacant possession and occupying close to 1,800 square feet of living accommodation. Fully double glazed, with an on-site concierge, two lifts, ample resident and visitors’ parking, lawned communal gardens and two underground garages with electronic doors, a fabulous opportunity to acquire one of Newcastle’s most sought after apartments. 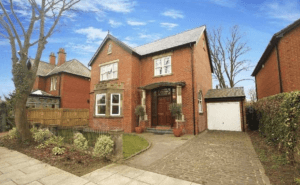 We offer to the market this deceptively spacious and beautifully presented six bedroom semi-detached home on The Rise in Darras Hall. The property offers extremely versatile living accommodation. Externally there is a mature front garden and driveway providing parking for several cars and leading to the detached double garage. To the rear are a magnificent mature garden laid to lawn with hot tub, sauna, summer house, ornate pond and an array of colourful plants and shrubs. This wonderful home is ideally situated close to Broadway shops and Ponteland Village offering a great selection of restaurants, shops, bars and amenities. 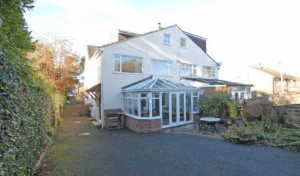 There are excellent transport links by bus, road, Metro and the property is in the catchment area for Darras Hall Primary School and Ponteland Middle and High schools making this an ideal family home. A fabulous and deceptively spacious, 1920s semi-detached house, with a beautiful mature southerly facing rear garden, a gated driveway providing off street parking for 2/3 cars and a detached garage. The impressive four bedroom family home, lived in by the current owners for 16 years, has been sympathetically extended creating a superb ground floor open plan living space and kitchen, and has retained many traditional features; sash leaded windows, wood floors, period fireplaces, and original ceiling coving and balustrade to the staircase. Private southerly facing rear garden with terraced seating areas and raised vegetable beds and fruit trees. Gated driveway and detached garage. The excellent family home is ideally placed with easy access to Gosforth and Jesmond, and is close to St. Mary’s Catholic School, Jesmond Dene for lovely woodland walks, the David Lloyd Leisure complex and Paddy Freemans Park, as well as the Metro Station at South Gosforth with regular services to the city centre. 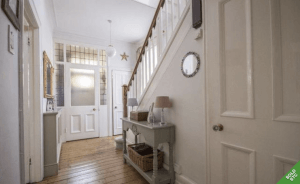 This is a unique four bedroom, Victorian end terraced house, well set back from Buston Terrace behind large timber gates, with mature gardens to three elevations, an extensive driveway and a detached garage. The generous family home has accommodation set over three floors, with scope for further development (subject to normal planning consents and building regulations) for additional reception space in the large cellar and into the roof, creating two further bedrooms (Architects drawings from 2004 in place). The house has been in the same family for over 50 years, and was divided from one much larger house and then redesigned and developed in the 1960s by a local architect. Set in the heart of Jesmond, the property is ideally located for Osborne Road with its shops, cafes and bars/restaurant, Jesmond Dene for woodland walks, as well as easy access into Newcastle City centre. A substantial six bedroom detached house offering generous accommodation with 253 meter squared floor area. This superb family home offers both flexible and versatile accommodation over three floors and is ideally suited for a growing family. The property benefits from a generous plot with large gardens together with ample off street parking and double garage located to the side of the property. 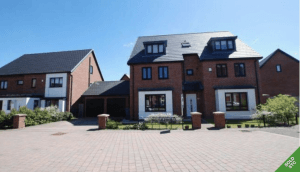 Humbleton Road is located at the head of this sought after residential development and provides easy access to the A1 motorway, Central Gosforth as well as local shops, amenities and transport links within Kingston Park. Externally there is a large lawned garden to the rear and driveway to the side of the property providing ample off street parking for several cars. This, in turn, leads to a detached double garage with up and over doors. 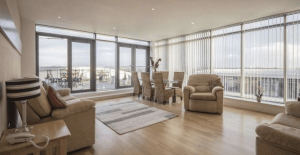 Modern features include uPVC double glazing, gas fired central heating and alarm system. The property is available for sale with no onward chain. A four bedroom family home situated in the heart of Dinnington Village. Set in private grounds, the property comprises four double bedrooms including a master suite, four reception rooms, breakfasting kitchen and large utility room. The well-appointed accommodation is accompanied by a leisure suite comprising of a 28ft swimming pool with changing facilities and storage room. The property is accessed through a glazed porch leading to the leisure facilities and entrance hallway. The well-balanced living space comprises four reception rooms including a dining room, living rooms, snug/home office and a conservatory giving access to the side garden and patio area. The ground floor accommodation is complemented by four double bedrooms to the first floor with a master suite consisting of a dressing room and ensuite bathroom. The property is accessed over blocked paved driveway providing parking for several cars, leading to a triple garage and workroom. A pathway with steps up to a lawned area leads to the main entrance of the property and gives access the side patio. An imposing double fronted, five bedroom Grade II listed house, positioned on this highly sought after Georgian terrace in the heart of Newcastle city centre, with private rear courtyard garden and residents permit parking. 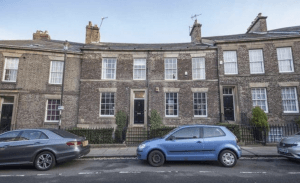 The four storey period house is ideally placed for the Royal Victoria Infirmary and Newcastle and Northumbria Universities, and the location is particularly well regarded by academics and medics. The house is within walking distance of the Haymarket and Metro stations, the beautiful Leazes Park and a wealth of city centre amenities. The property benefits from freehold tenure. The fabulous property has retained many period features including; cast iron fireplaces, lovely high ceilings with ornate plasterwork and cornicing, with an original balustrade and ‘Oriel’ window overlooking the garden. An exceptional, five bedroom detached family home, with versatile accommodation extending to over 2700 sq ft. Situated in the highly sought after development of Greenside, this executive, double fronted property is set over three floors and also boasts a very private position to the head of this exclusive cul de sac with south-west facing wraparound gardens. Formerly a six bedroom home, the property has been further remodelled to create an impressive master bedroom suite with a spacious dressing room and en-suite facilities, with four further generous double bedrooms and three further bathrooms. Spacious reception rooms to the ground floor offer excellent flexibility and the breakfasting kitchen is finished with high-quality appliances. Externally, there is a double driveway and detached double garage, and the south-west corner gardens to side and rear offer fantastic space for families. 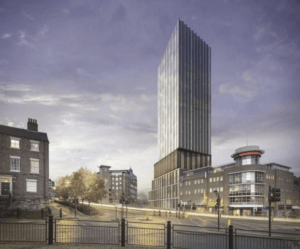 Hadrian’s Tower Summary – Hadrian’s Tower, on Rutherford Street, will be a 26 storey, 82-metre tower, the tallest in the City in a key city centre location, adjacent to Newcastle Science Central Regeneration Zone. 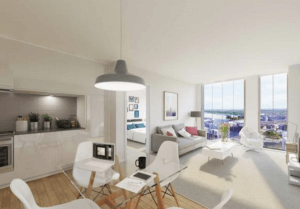 It is the first development of its kind in Newcastle, offering 165 luxury apartments in an iconic new building, representing a market-leading product for luxury City Centre living. Location – The Hadrian’s Tower site is conveniently located between the Newcastle Science Central site and Newcastle City Centre. Science Central is a 24-acre site which is a joint initiative between Newcastle University and Newcastle City Council. Phase One is open now, and the entire site will be completed in 2020. Science Central will be the largest science and innovation hub in the UK, providing world-class laboratories, research space and Grade-A office space. The scheme has seen an inward investment of £65m by Legal and General (L&G). Adjoining Science Central is Newcastle University’s Business School, which relocated to the former Scottish & Newcastle breweries site in 2012. The site allows easy access to the intu Eldon Square shopping centre, Newcastle Central Rail station for mainline travel and Tyne & Wear Metro system for access to Sunderland, The Coast and Airport. So we have given you a summary of just a few of the properties for sale in Newcastle and the surrounding areas ranging from period homes, penthouse apartments, new luxury apartments, detached properties and even a property with its own swimming pool for just half a million pounds. Newcastle is beautiful and vibrant with easy public transport to get you in and around the city. It is united by seven bridges across a spectacular riverscape and forms a single, diverse and extremely vibrant visitor destination. With so many different locations within and surrounding the city all of which offer different sights, sounds and experiences including; world-class culture, vibrant nightlife with bars and clubs, award-winning dining, inspiring heritage, amazing shopping, acclaimed historical and modern architecture, a beautiful coastline as well as the famous and much loved Geordie spirit.